You're going to love our Kansas City Kids Summer Movie Guide for 2014. 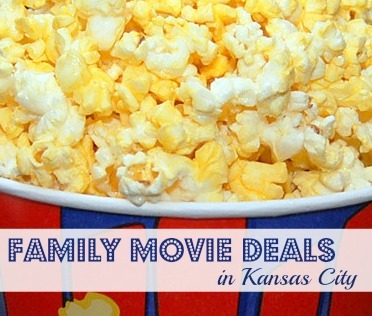 Enjoy these free or low-cost summer movie programs in KC that encourage and promote family time. They'll keep your family entertained all season long! Cinemark movie theaters in the Kansas City area will be playing kids movies (rated G or PG) starting in June and running through August. Purchase tickets in advance and watch all 10 shows for only $5! Or purchase tickets at the theater box office for $1 each. Either way makes for an inexpensive day at the movies. Movies shown at 10 a.m. and 12 noon on select days June 2 - August 7, 2014. Dickinson Theaters in the Kansas City area will be playing kids movies (rated G or PG) June 2 - August 1, 2014. Single admission tickets are just $2 each, or contact the box office for discount season passes in advance. Showings are Monday - Thursday at 10 a.m. and 12 noon. Enjoy movies every Saturday May 31 - August 16, 2014 (no July 5th showing) @ 8:45 p.m. Bring blankets, lawn chairs, dinner, and snacks. Phoenix Theaters at Legends Stadium in Kansas City, Kansas is will be showing special G and PG rated FREE films every Tuesday, Wednesday, and Thursday June 3 - August 3, 2014. Showings are at 10 a.m.and are FREE and open to all age groups. Doors will open at 9 a.m. and special kiddie meal concessions will be available. Moonlight Movies are shown every Thursday at 9pm throughout the summer. The movies are projected onto the side of the Pharaoh Theatre on the Independence Square. Along with gaining quality family time under a warm, night summer sky, there are multitudes of other reasons to attend our movies. The main one being: it's FREE! Moonlight Movies are intended to create family fun that won't break the budget. Shown every Thursday at 9 p.m. under the warm summer sky. This annual tradition is back for 2014. Bring a blanket or lawn chair to enjoy these FREE festivities: movies, entertainment, and prizes! Concerts at 7:30 p.m., movies at 8:30 p.m. Details here. The City Market Cinema is back for one-of-a-kind open air movie screenings on the third Friday evening of June, July and August. Moviegoers will enjoy the unique urban atmosphere while enjoying a film on a summer night. Don't forget to bring lawn chairs and blanket for a picnic in the park prior to the show. Third & Main in Kansas City, Missouri. Admission is free and movies will begin at 9:00 p.m. The Roeland Park Aquatic Center is having a family fun night on June 21, 2014 from 8:30 p.m. to 10:30 p.m. A family-friendly movie will be shown and the concession stand will be open until 9:30 pm. This two hour swimmingly good time is just $3 per person ($4 nonresidents). No preregistration is required, pay at site. It’s a pool party so make a splash at Merriam’s Aquatic Center in a members-only appreciation pool party. July 25, 2014 from 6-8 pm in celebration of National Parks & Recreation Day. Regular admission fees or season passes apply. Get complete details here. Come join your neighbors and friends for a night of fun at this year’s themed Dive-in movie night. This event is open to anyone and will conclude the 2014 Shawnee Sharks Swim and Dive season. Movie will begin at dusk and bring your favorite flotation device or use ours for an unforgettable night under the stars. Get complete details here. Join the PCOS Children’s Ministry for a family-friendly movie on the north lawn of the church. Everyone is invited, bring your friends and family to this FREE event! Don’t forget to bring your own snacks, blanket, chairs, and bug spray. Please bring a gently used or new stuffed animal as a donation to benefit Cross-Lines Cooperative. This year we’ll be showing Spy Kids! FREE, air-conditioned family-friendly movies at 2 p.m.! Head on over to the courtyard of Mosaic Life Care at Shoal Creek Friday evenings during the month of June at 7 p.m. to enjoy movies under the stars. This event features a family friendly movie, healthy and delicious snack options and fun activities for kids of all ages. It’s absolutely FREE for those who register.